This is an old album (released in 2010) but Julia is going through Grey’s Anatomy on Netflix and You Got What I Need came on (House M.D. 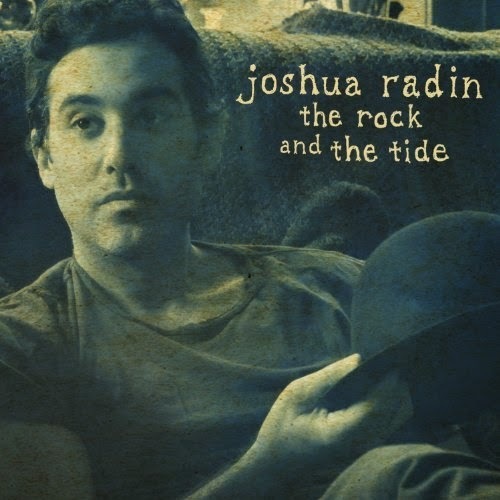 also features at least one Josh Radin song, Brand New Day). It took me back to that time and it’s just a really great, solid album. All of his other stuff is great too, you should check it out! Who has Two Thumbs and Loves Things Online? I’m going to start this post in an unexpected way: Taylor Swift isn’t the person posting things on her Twitter account, in at least 95% of cases. I know this because for the better part of a year, I have been patrolling the better part of 5 different Twitter accounts, 4 Facebook pages, 3 Google+ pages and 4 YouTube channels. I know she isn’t the one doing this because if you actually want to promote your stuff online, you lose a significant amount of time that you would otherwise dedicate to actually MAKING the things you want to make. 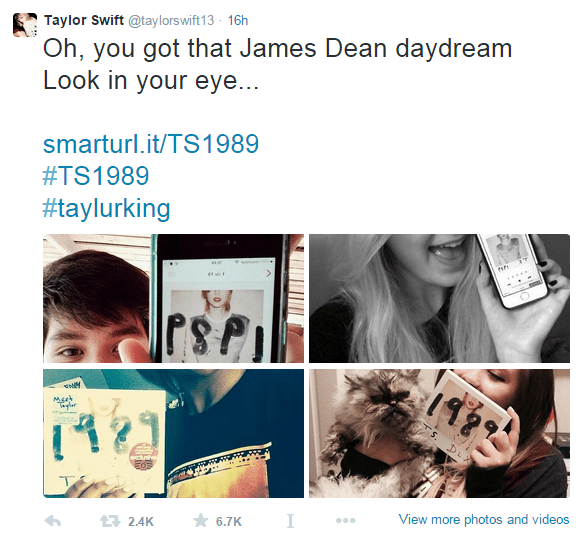 Now, obviously Taylor Swift is many orders of magnitude more popular than anything I will ever do. She has millions of fans tweeting, Facebooking and Instagramming her photos of themselves with her album or the paraphernalia she included in the purchase of her physical CD. Anytime she (or her social media team) posts a photo of a fan (or 4 photos, since Twitter now lets you attach 4 photos to a tweet), it makes that fan’s month, and basically ensures they will be a life-long fan. The second effect of her “choosing” fans to highlight on her Twitter account is that it prompts people to continue to send her even more photos. This will likely go on for months after the album’s release, and I KNOW there’s no way one person could keep up with this unless that was their only job, and even then you wouldn’t be able to sleep, so there are probably multiple social media team members doing this in shifts. I like making things and paying forward knowledge I’ve gained and insights I’ve had. I want to learn how to make things better and to better myself. The hardest part of making things so far for me has been exposing my work to a larger audience than my immediate circles. I do hope that if you see something that you like, that you tell people about it. One of the biggest things I’m working on is the idea that I don’t want to force people to see what I’m doing if they don’t want to, but if they DO want to, I want to make it easy. On that note, there are a couple of ways you can keep abreast of what I’m working on, both for more technically savvy people who are control freaks, as well as for people who want something easy to use. I made a Facebook group where I will post my project updates (so that my personal timeline won’t be constantly spammed by what I have going on). Follow the link above to join the group, where you can receive passive or active notifications when I post something new (you don’t HAVE to get notifications if you don’t want them). We can also discuss my projects together there, which could be pretty cool. You can subscribe to the RSS feed from my website, blog.robattrell.com, at this link: (RSS). It’s also possible to just head to blog.robattrell.com in your web browser, I have been linking to all the projects I have going on there, so it’s a good way to see what I have going on. So I hope you will feel excited to have a real way to follow everything I’m doing. You can also follow me on Twitter @RobAttrell and on Google+ obviously (+Rob Attrell) to see the stuff I’ve got going on. If you have suggestions or questions for me, feel free to email me or fill out my #AskRob form right here. Posted byRob Attrell November 3, 2014 March 15, 2018 Posted inBlogTags: blog, Life, Media, Projects, ReflectionLeave a comment on Who has Two Thumbs and Loves Things Online?